Service for the Hawaiian Islands is now on sale. Flights to the Hawaiian Islands from are now available for purchase. On March 17, service will begin with an inaugural flight from Oakland (OAK) to Honolulu, Oahu (HNL), followed by an inaugural flight from Oakland to Kahului, Maui (OGG) on April 7. In subsequent weeks, the carrier will inaugurate additional service from San Jose, CA, (SJC) to Honolulu on May 5 and to Kahului on May 26. We will also provide interisland service, so you can fly between the Hawaiian Islands with us, too. Interisland service will begin on April 28 between Honolulu and Kahului, and on May 12 between Honolulu and Kona, Hawaii Island (KOA) and will occur four times daily in each direction. The additional interisland service will make possible connecting service between Kona and both Oakland and San Jose. Additional service details, including plans for previously announced gateway cities to Hawaii of San Diego and Sacramento, and for Lihue, on Kauai, will be announced in the coming weeks. The heart of Hawaii has it all. Luxurious resorts, surfing lessons, some of the best dinners of your life, world-class snorkeling, history, postcard-worthy beauty — it’s everything you dream of in an idyllic vacation. And Southwest Airlines® has the package you need to make it all come true. Here’s where sunny beaches and big-city vibes meet to make an unforgettable Hawaii experience. 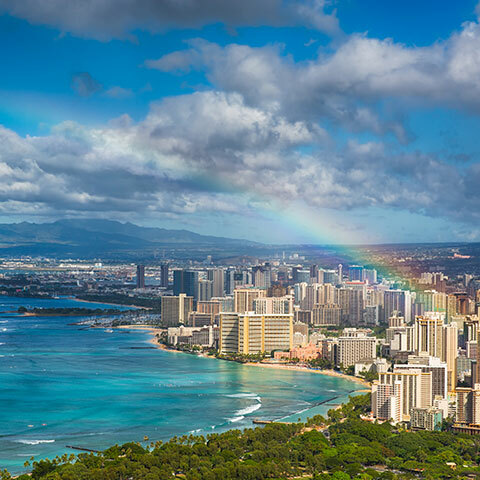 When you hear Waikiki, it’s impossible to not picture a sunny surf-filled day in the calm waters, Diamond Head crater towering in the background. Take some time to explore the historic sites of Pearl Harbor, and be sure to meander through some of Oahu’s famous farmers’ markets. When it comes to the North Shore’s surf, it’s just as exciting to watch as it is to catch a wave yourself. Beginners will have their best luck on summer’s smaller waves, while winter can whip up myth-making waves that attract surf pros from all over the world. Hula is more than just a dance. This song accompanied tradition keeps ancient Hawaii thriving in the world today. Take in the spirit of authentic Hula at a live show, or at seaside luau. Many are free to the public. From hiking to horseback riding and all sorts of adventure in between, Oahu is an explorer’s paradise. Hike Diamond Head’s volcanic crater, catch a wave in Waikiki, or saddle up for a day of horseback riding through the lush landscapes. Take a look at some great deals to Oahu. Vacation days were meant for an island like Maui. Whether you are looking for luxurious hotels, aquatic adventures, some of the finest restaurants in the state, gorgeous golf or just a picture-perfect beach, Maui is designed to delight. Don’t put off paradise any longer — book your Southwest Airlines® flight today. Black sand. Red sand. White sand. On Maui’s 120 miles of coastline, you can take your pick. And whether you feel like surfing or sunbathing, snorkeling or scuba diving, you’ll have plenty of beautiful beaches to choose from. 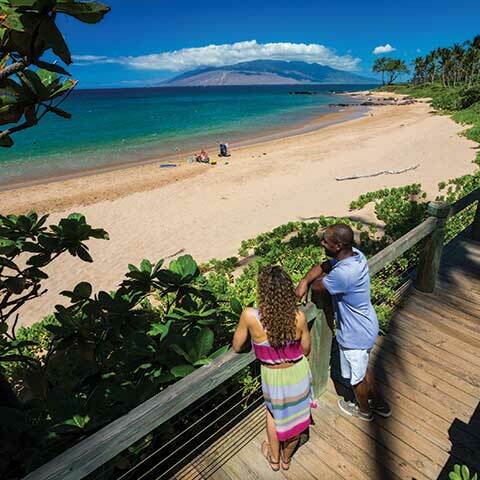 Waianapanapa and Kaanapali are just a couple of our favorites. Nope. This is not your typical highway. 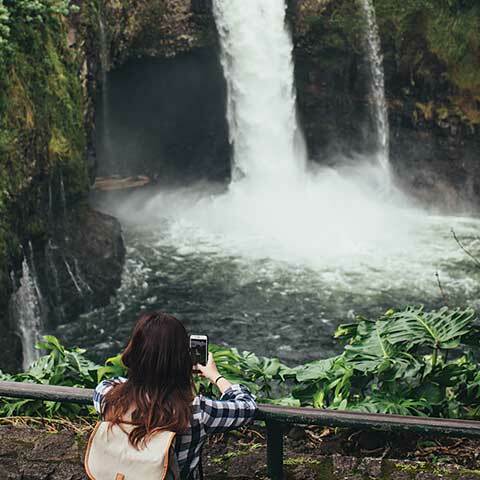 Unless your typical 52-mile highway has 617 winding curves and more waterfalls than you could imagine. Our advice? Roll slow, and enjoy the show. You might not usually associate Hawaii with mountain hiking and higher elevations, but that’s bound to change in up country Maui. Why? Because the sunrise reward from Haleakala—Maui’s highest peak—is so worth it. Be sure to say howdy to the paniolo (Hawaiian cowboys). Take a breath of fresh air, and take a step back in time. Spend a day or two exploring the quaint mom-and-pop shops, boutiques, cafes and bakeries. Ready for a little adventure? 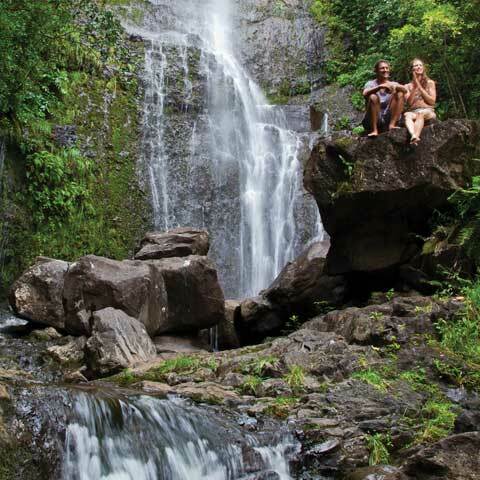 Wailuku, at the base of the West Maui Mountains, is a great starting point to explore the Iao Valley. Take a look at some great deals to Maui. Calling all adventurers. If you’re the type to pack hiking boots for vacation, than the Big Island is for you. You can take a trip to Volcanoes National Park, try a helicopter tour, swim with the dolphins, snorkel, surf, and so much more. Then finish each day in a top-class resort. Go big, and book your Southwest Airlines® flight today. All the stunning natural beauty you could ask for, and plenty of small-town charm to make it even sweeter. Check out Hilo’s laid-back coffee shops, galleries, and restaurants, and then head out to explore its verdant landscape. 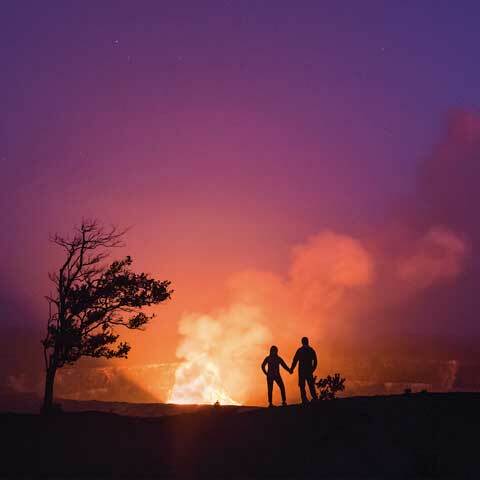 Heat things up with a trip to Hawaii Volcanoes National Park. Two volcanoes rise out of the park, including Kilauea, and you can explore them on 150 miles of hiking trails. 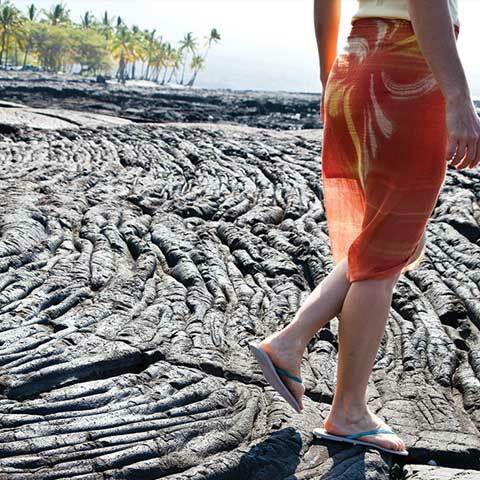 Plus, you can encounter the other-worldly phenomenon of lava flowing into the sea. Explore a shaded coffee farm. Check out the historic Hulihee Palace, where Hawaiian monarchs used to live, and Kailua Village. Looking for some wildlife? 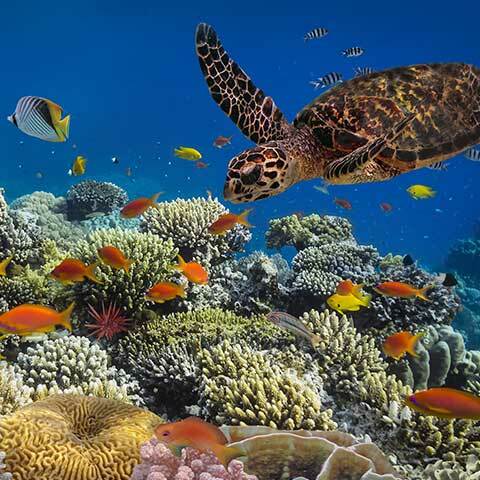 The coast is home to manta rays, sea turtles and even dolphins. When’s the last time you spent the day at a black sand beach? Framed by lush green palm trees, Punaluu black sand beach is an unreal encounter. The sea turtles that warm up on shore make it even more unforgettable. Take a look at some great deals to the Island of Hawaii. Ready to book your Hawaii vacation?